The U.S. job market reached a notable turning point in July: By one more metric, it has officially recovered from the recession. After accounting for changes in the population, the United States regained the same level of employment in July that it had before the recession began nearly a decade ago in November 2007, according to a new report published Friday morning by the Brookings Institution's Hamilton Project. The United States actually long since regained the same number of total jobs that it had before the recession. It hit that mark in April 2014, the researchers say. But because of changes in the U.S. population, the overall proportion of Americans who were employed continued to lag behind the level before the recession. As the U.S. population grew, more jobs were needed to ensure that the nation was at the same level of employment. With the publication Friday of jobs market data for July, the United States officially closed the jobs gap with November 2007, the last month before the recession officially began. 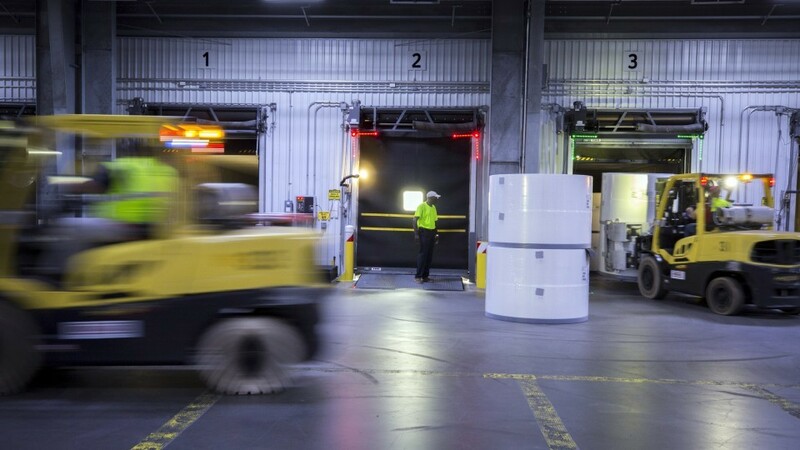 The milestone is important, though it does not indicate the economy is unblemished, said Diane Whitmore Schanzenbach, one of the report’s authors. “It does not mean there’s no slack in the economy, [or] that we’re at full employment. But it does mean the job losses from the Great Recession are behind us,” she said. The researchers have been tracking a measure that they call “the jobs gap,” or the number of jobs needed to return to the pre-recession level of employment after accounting for the growth and aging of the U.S. population. The Brookings report highlights just how long of a process this has been. 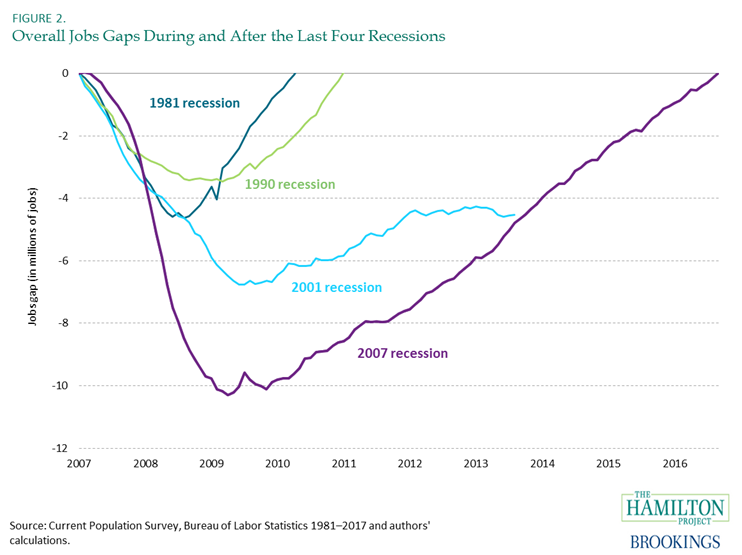 While the United States closed the jobs gaps created by the 1981 and 1990 recessions within five years, it took nearly a decade after the onset of the Great Recession to reach the same level of employment seen in 2007. Schanzenbach points out that the job market never fully recovered from the 2001 recession, which may mean the economy went into the 2008 crash with additional slack in the labor market. While the employment level as a whole looks similar to that of November 2007, some groups of Americans are still feeling the recession's pain more keenly. 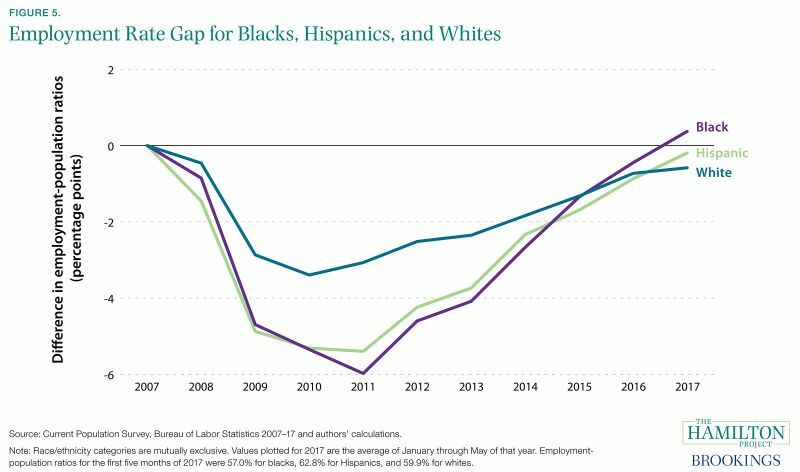 The data show that whites are also in a worse position relative to their pre-recession employment rates than blacks and Hispanics. Even so, African Americans still experience much higher levels of unemployment (7.4 percent in July) than whites (3.8 percent). The recovery also varies by education. Those with a graduate or bachelor’s degree have long since closed the pre-recession employment gap, while those with less education still lag far behind. 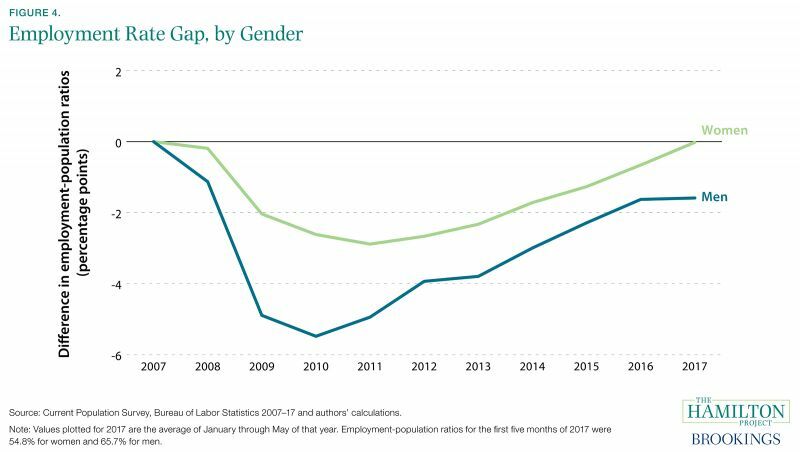 These trends probably reflect larger changes in the economy over the past decade, such as the rise of automation, which has displaced less-skilled workers and decimated jobs in the male-dominated field of manufacturing. Brookings doesn't have solid data on how much of these effects is due to automation. “But you and I could both look around at the world and say that’s part of this,” Schanzenbach said. Ana Swanson covered the economy, trade and the Federal Reserve for The Washington Post. She left The Post in August 2017.